Ever since Ford sold Volvo off to the Chinese several years ago, the Swedish automaker has been having a tough go in the marketplace. Thankfully, not as bad as Swedish compatriot Saab, which recently declared bankruptcy and closed its doors, but still concerning enough to make marque loyalists fret. But if the latest S60 R is indicative of Volvo’s future, the company outlook is very bright indeed. In fact, just as bright as the piercing shade of Rebel Blue that graced our scintillating test car. 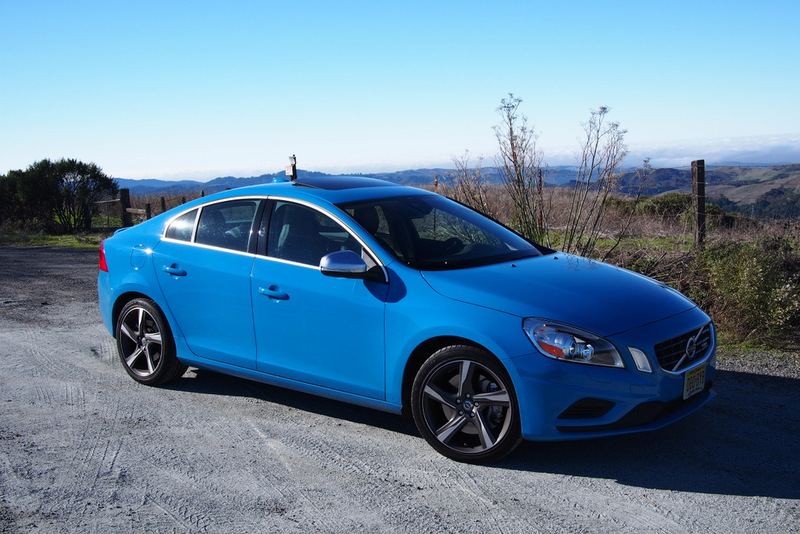 If you’re in the market for a 4 place sports sedan, you’ll definitely want to consider the S60 R as a top contender, because it beats the competition from Audi and BMW in almost every department while costing considerably less. For example, the base price of this twin turbocharged road burner is just $43,900. Even with the addition of a $2,300 Platinum Package (Navigation, Back-Up Camera) and $700 Cold Weather Package (Heated Front Seats and Washer Nozzles), this Volvo’s out-the door price totaled $48,195. A comparable BMW 3 Series sedan starts about the same price as the Volvo ($43,150) but by the time you’re finished toting up the laundry list of extras, the BMW costs almost ten grand more than the S60 R. And in a straight shoot out based on performance, I’d take the Volvo every time. The “R” branding starts under the hood, where the 3.0 liter six is mounted sideways rather than lengthwise to minimize front overhang. This long stroke (93.2mm) small bore (82mm) motor is designed to make most of its torque low in the rpm range. Between 2,100rpm and 4,200rpm, the big six produces 354 lb.-ft. of torque. This wide rpm spread allows you to access instant power, no matter which gear the Geartronic 6-speed has selected. Volvo has also upped horsepower output this year from 300 to 325hp at 5,600rpm. Although the Geartronic system lacks paddle shifts, the console-mounted shift lever features a unique illuminated knob which highlights the range you’ve chosen. Sport-Mode, activated by moving the lever backwards and left, allows you to select your preferred gear manually. In practice, however, this manipulation is hardly ever necessary, due to the abundant torque of the R-specification motor. The S60 is fitted with a unibody steel passenger safety cage, dual stage front seat airbags with anti-whiplash headrests, and side impact head protection for all 4 seats. All that safety gear is as reassuring as the S60’s exceptional handling. Volvo has not stinted in supplying the “R” with premium “Sleipner” alloy wheels that look like Cuisineart blades. Continental provides top notch ContiSportContact 235/40R18) rubber at each corner, and Volvo stiffens the suspension of the “R” to take maximum advantage of the Conti’s mountain goat traction. This sedan will corner with the best contenders from Germany without giving them an inch advantage. Saving the best for last, the cockpit of the S60 R is a splendid exercise in Swedish modern design. Unlike most dashboards, which look like they were cobbled together by 20 different parents, the S60 R control layout looks like one mastermind did the trick. The fact that almost every surface is matte black makes the Op Art aluminum center stack throb with visual excitement. It contains just 4 large, simplified knobs which control radio volume, radio tune, and thermostats for driver and passenger. 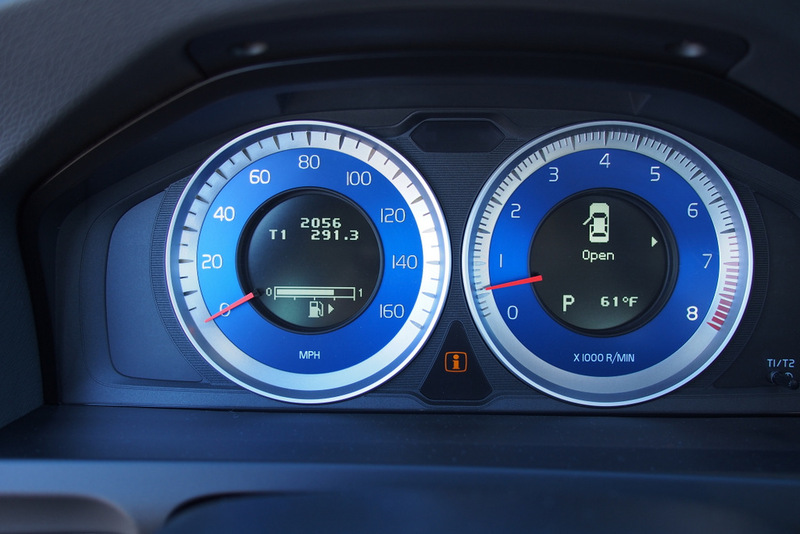 Like the silver center stack, the boldly delineated “Blue Watch Dial Instrument Cluster” is also startlingly impressive. Bold, concentric rings of silver and ice blue convert the 8,000rpm tachometer and 160mph speedometer into Swatch-like chronometer faces that are as easy to read as they are refreshing to see. Volvo designers also supply just enough “R” model designations (front grill, headrests, steering wheel spoke) to this sedan, without resorting to undue braggadocio. 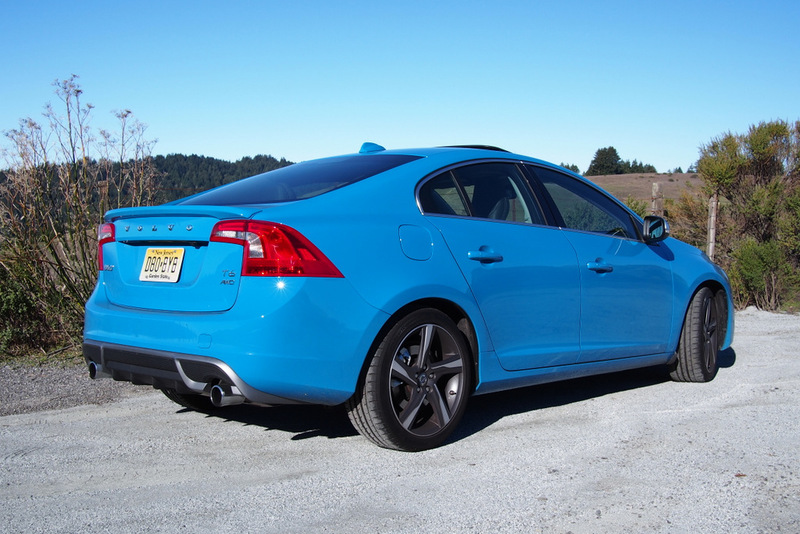 The all-wheel-drive S60 R is an affordable sports sedan for the owner whose ego needs no reinforcement from badging. 2008 Mazda MX-5 Miata Review – Can it Really be Improved?